The national energy strategy (Strategia Energetica Nazionale) has to guarantee safe and sustainable energy at competitive prices for everyone. In order to implement the Paris agreement Italy has adopted measures to align costs with other European countries, to improve the level supply safety and to accelerate the process of decarburization. Interventions include optimizing energy management and the development of renewable energy, and this involves creating a system which is sustainable and which respects the environment by raising the awareness with regard to responsible behavior in everyday life. Accredited certifications in energy management and diagnosis contribute to achieving the goals set by the Italian government, in line with EU policies. The Directive 2012/27/EU lays the foundations for a harmonised framework of interventions and policies targeting sustainability and energy efficiency. The aim is a 20% reduction by 2020: all member states are required to save energy, fixing national objectives for the purpose. 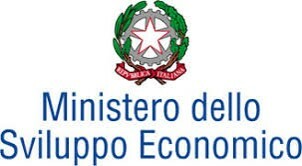 In Italy, Legislative Decree 102/2014 implements the Directive, setting a framework of moves to promote and improve the supply and final use of energy through the promotion of energy efficiency in both public and private buildings, though the purchases of the central governmental entities and the calculating and billing of consumption. The law also makes energy diagnosis compulsory for big scale and energy intensive business enterprises. This normative framework attributes a specific role – as instruments in support of businesses, institutions and citizens – for accredited certifications for energy efficiency regarding organisations with and Energy Management System (EnMS) as well as Energy Service Companies (ESCo), Experts in Energy Management (EGE) and Energy Auditors. UNI CEI EN 16247-5 for Energy Auditors.